Music director and conductor emeritus of the Sky Philharmonic Orchestra. Able to understand a musician's nature simply by listening to them play, he provides guidance through tough love. He always strives to bring out the orchestra's full potential using his kindness and humor. 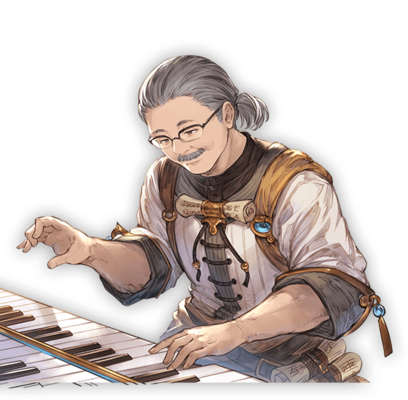 Nobiyo's design is based on Nobuo Uematsu, one of the main composers for Granblue Fantasy.